Originally from Central Asia, where it was apparently grown 4000 years ago, the pistachio tree requires typically desert conditions such as a period of cold weather to begin flowering, followed by a long hot summer for its fruit to ripen. Nowadays, this tree is cultivated in nearly 20 countries, the main ones being Iran, Turkey, China and the United States (especially California). The shell of the pistachio opens naturally when the fruit is ripe, which is a good way for farmers to know when to harvest and which makes this fruit very easy to eat and very convenient to carry to work, on a walk, to school etc. 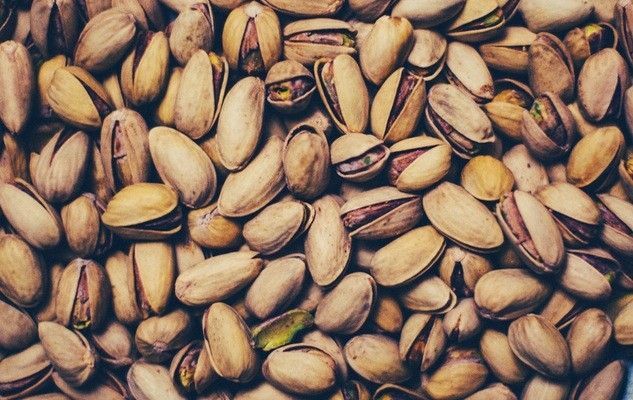 Pistachios, like several other oilseeds and nuts, contribute to cardiovascular health. This nut contains a fair amount of protein and fiber and provides a worthwhile contribution of unsaturated fatty acids. It also contains a multitude of vitamins and minerals. Try our recipe for Caramelised Peaches, that features pistachios. Originally published in the Journal de Montréal on January 12, 2013.